Chocolate. You love? I love. And, if you’re sensitive or allergic to it, there’s this awesome stuff called carob – a lightly alkalizing, non-stimulating, naturally sweet and lower fat alternative to chocolate. 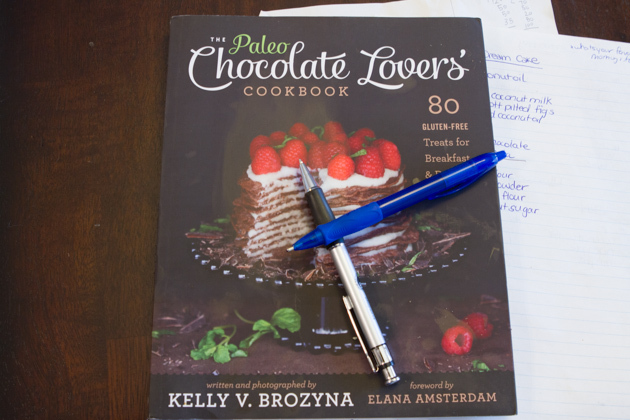 Kelly, one of my dear friends, recently published a cookbook devoted to all things chocolate – The Paleo Chocolate Lovers’ Cookbook. Deliciously satisfying and visually stimulating, this book frees its readers from ever feeling restricted by the Paleo lifestyle. 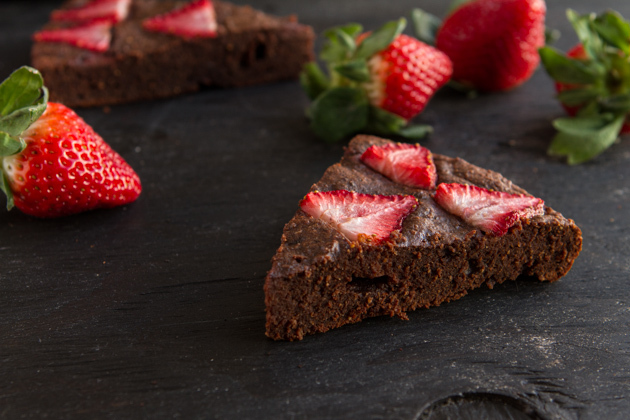 This book features 80 gluten-, grain-, and dairy-free treats for the health-conscious chocolate lover. 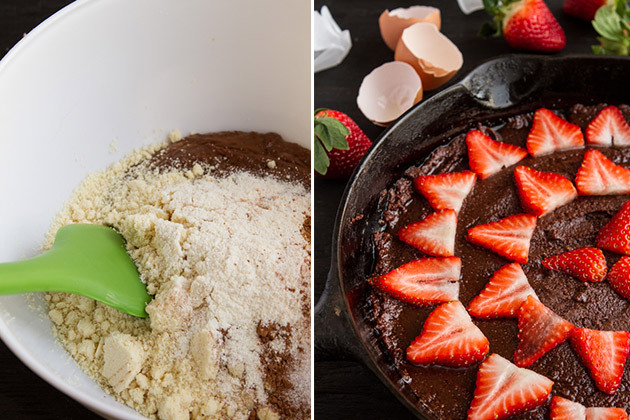 There are even a bunch of egg-free recipes, too. In it’s pages: Chocolate-stuffed French Toast, Chocolate Granola, Chocolate Fudge, Mocha Truffles, with a special bonus chapter of savory recipes that incorporate chocolate. Chocolate Cherry Chicken Cutlets — heck yeah. All of the recipes I’ve made from Kelly’s book have been outrageously delicious. 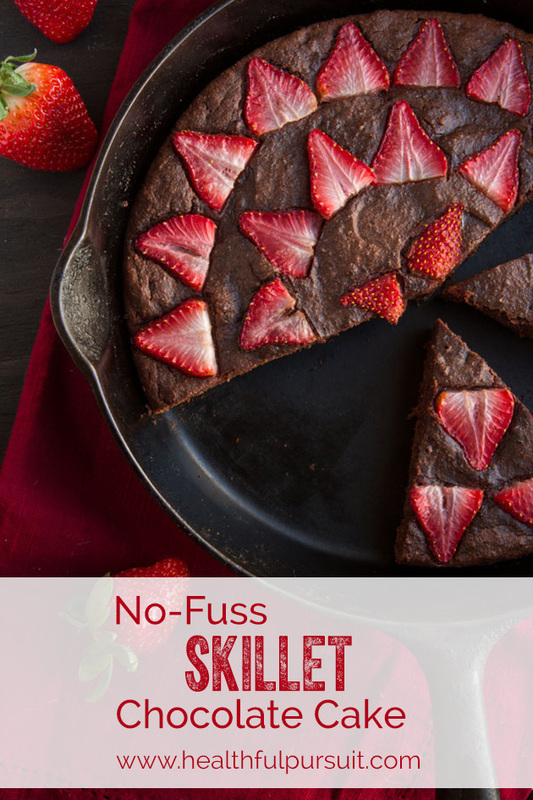 But this skillet chocolate cake totally rocked my world. It’s easy. 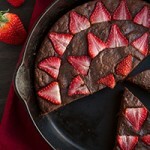 It’s delicious and it will impress everyone and anyone, no matter their eating style. 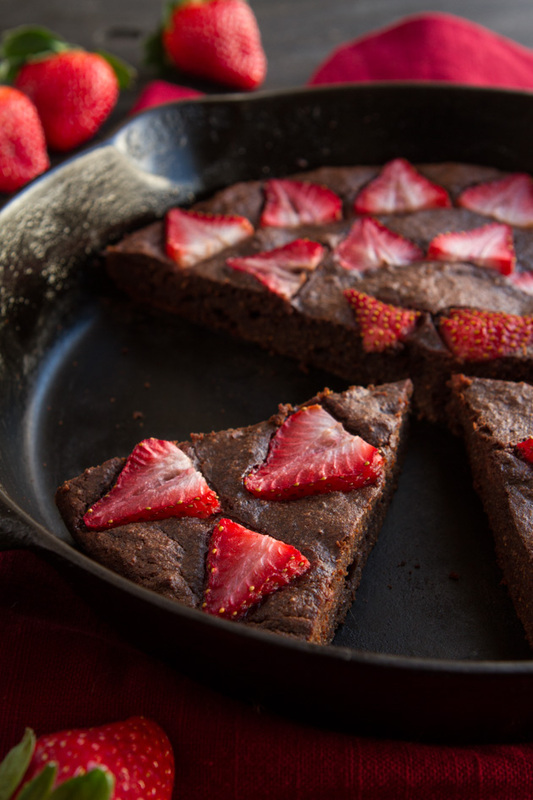 You can make a circle pattern on the top of the cake like I did, or channel your inner Picasso and shape the strawberries into a heart for Valentine’s Day, perhaps?